I had this almost done and lost everything, so here goes again. I don't see a lot of interest with this, but a couple friends asked that I take the time to do it. I bought the UDR a few weeks ago when Ebay had their last 15% off sale, saved $100 dollars. It has been in my sights since they first came out last year. I research for a couple weeks on large scale trucks and MT and had a few in my basket, but just couldn't decide. 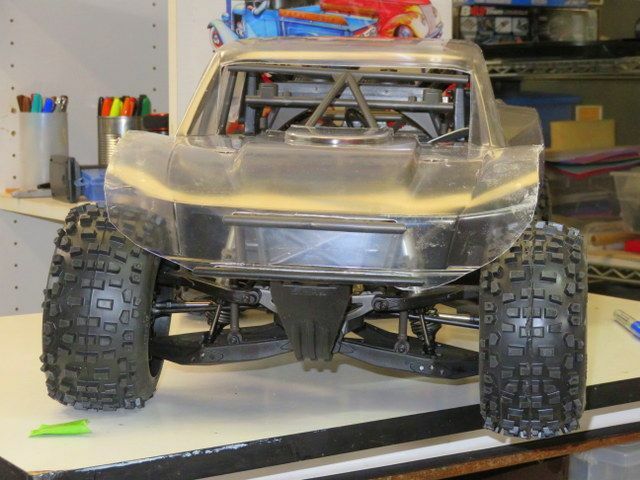 Nate wanted me to get XMAXX but that thing seemed so darn big. 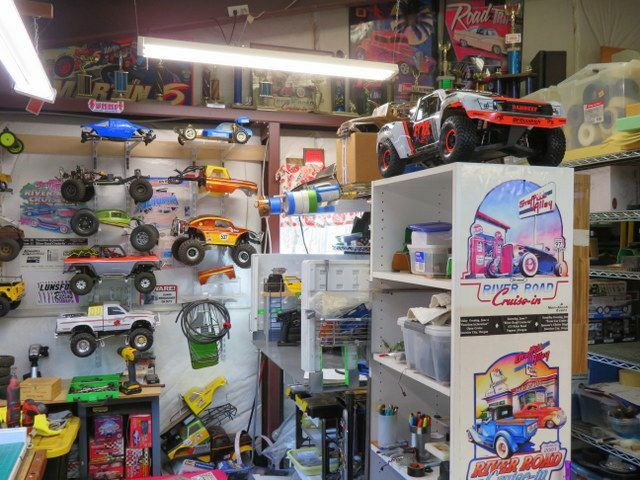 Almost bought a couple different Losi 1/6 scales. 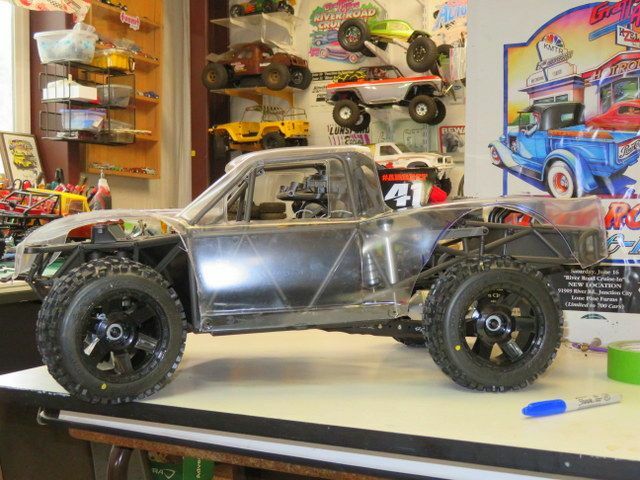 I finally decided I wanted something with IFS and the UDR was closer to 1/7 scale over the 1/6 and close to 1/5 scale losi rock racers. Next on the list will be some more aggressive tires. Did I mention that I kind of wanted to make a few small changes to be able to play on some rocks! Now I'll go see if I can get some PICS. I want to submit this before I lose it again! 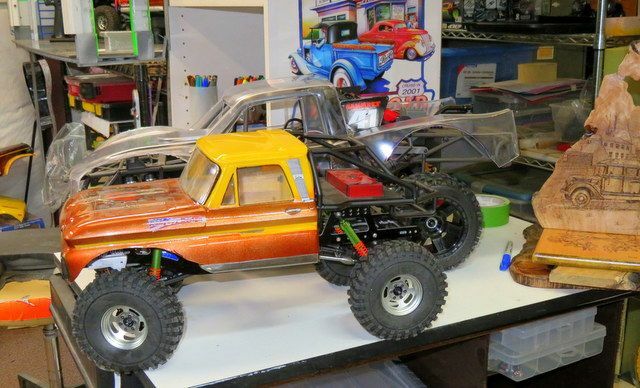 Since we don't have a large size RC site anymore I wasn't sure where to put this so sorry if it bothers anyone being here. It is one of the most "scaled, detailed RTRs I've ever purchased. So, no unboxing, you can see all of those you want on YOUTUBE. Tons of travel, even with limiting straps. Maybe a little more later if anyone is interested. Last edited by CODYBOY; 04-07-2019 at 10:23 PM. Nice! I like the UDR. 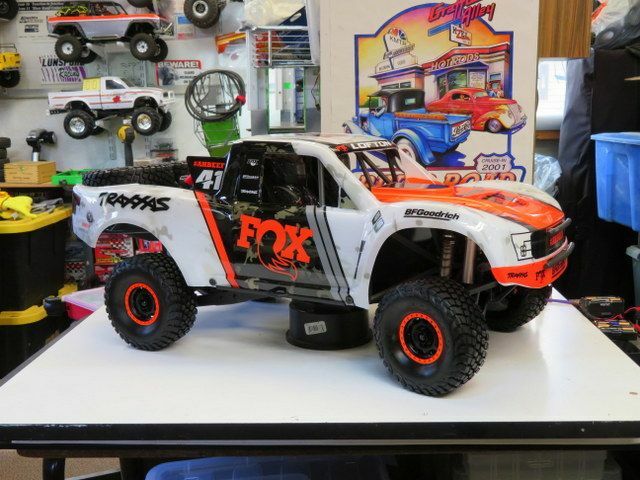 I wonder if Traxxas would make a smaller sized version. Looking forward to watching the progression. im curious as to why you got the open rear diff kit? Dang that looks good Ernie, impressive list of parts too! 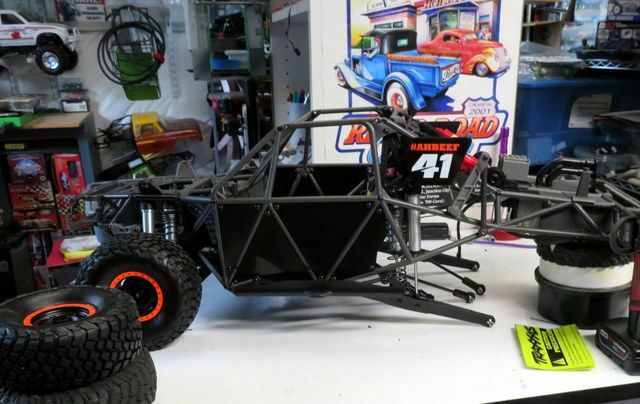 X-Maxx is a ton of fun and knock on wood havent' broken much even with big jumps. 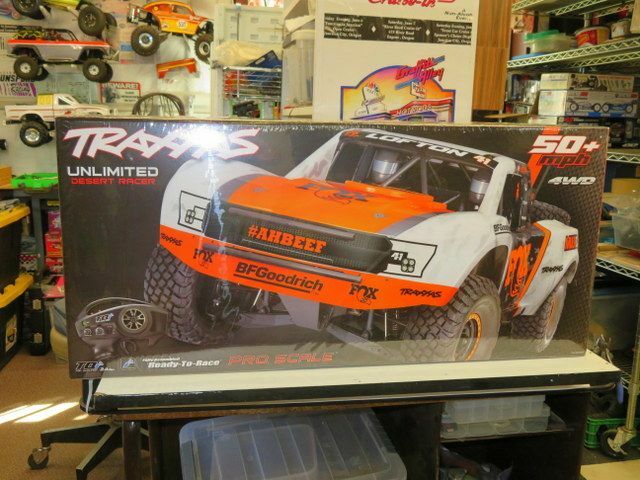 I've been watching Traxxas UDR videos lately and Kevin Talbot does some crazy stuff....must resist another truck. 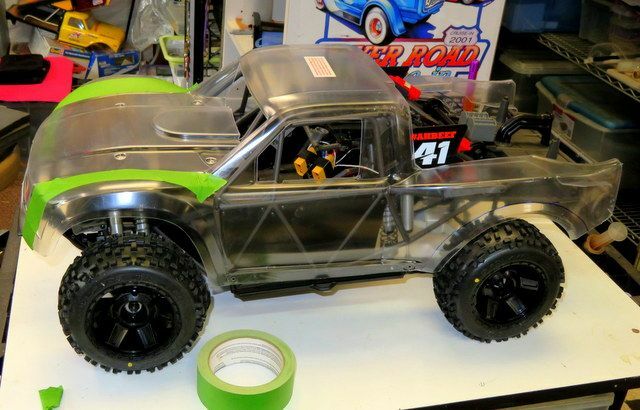 Love the super detail and up-sized dimensions on the UDR, I think the open rear diff will make it handle even better and it's like a Slash on steroids with great scale detail! Has the disassemble/rebuild begun yet? I've seen the nice looking Vitavon CNC alum rear axle housings etcetera advertised but not seen how they actually perform. Last edited by Natedog; 04-08-2019 at 10:47 AM. 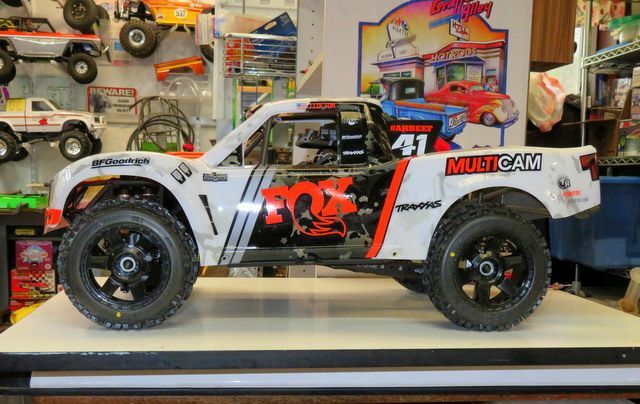 The scale details and to scale parts are a cool part of this truck, But I don't see Traxxas competing with them selves in building a 1/10 scale counter part. Hope I don't disappoint you. More for higher speed handling on harder surfaces. The rear wheels won't be fighting themselves trying to turn. I may go to a even higher weight oil in the rear after I run it a little. I still have the other rear housing with gears to compare with later. Of course it wouldn't make much difference on the softer ground. All disassembled, I wanted to make sure everything was tight and properly lubed. All three diffs needed more lubrication, I replaced the 30,00o wt in the front with 100,000, and added the same to the rear when I switched to the open diff in the rear. The center diff has 1 million wt and I added more to it. All three diffs received the HR diff cups to help dissipate heat issues. especially in the rear. That was one of the main reasons I spent $200 for the alum rear axle housing. I guess some guys were literally melting rear diffs. Slowly going back together. 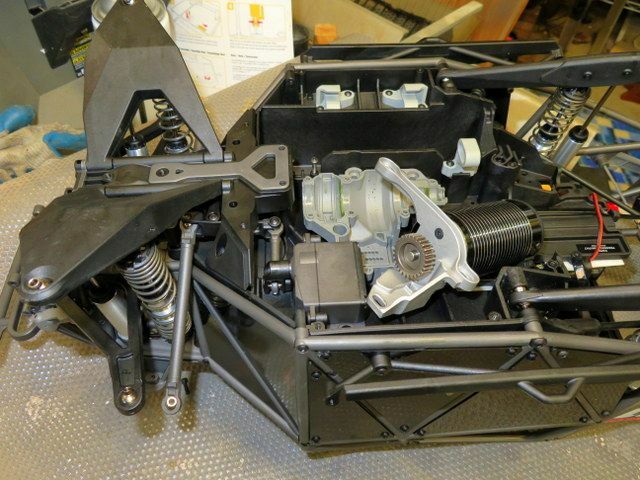 So I removed the body, and part of the cage to access the top part of the chassis. I bet you still have time to get one later! 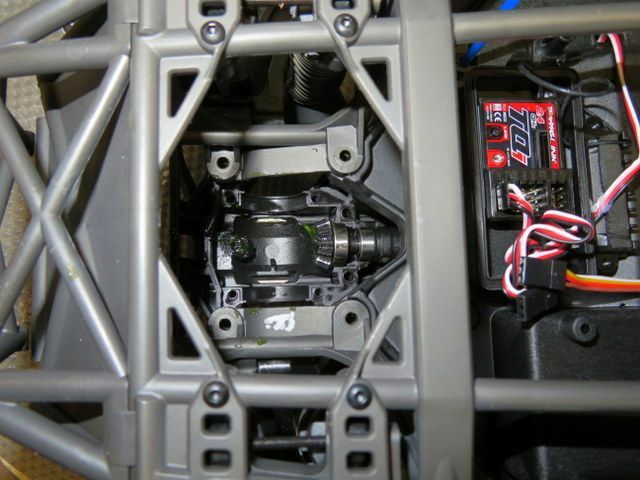 The front diff from above, had to remove some of the front bulkhead screws to get it and the plastic middle slider drive shaft out. I replaced this shaft, as it is a weak spot in the drive system and isn't the easiest to get to. Next I removed the bottom access plate to get to the motor, center drive system, and servo. I wanted to go to a little taller gears so when I had the center Diff out I replaced the stock gearing with a 55t spur gear and 25t pinion. that took it from 1.95 to 2.05. Big speed and bashing isn't my thing and I'm thinking I may want to play on some rocks once in a while so trying to improve slow speed start up. 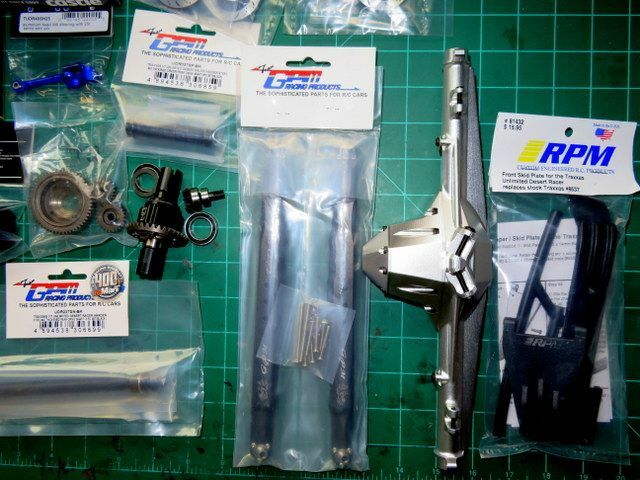 (I hope) I may switch over to one of Holmes 1/8/ large scale motors, thinking this, 2200 smooth startup Puller. I also replaced the rear alum drive shaft with a hardened steel one. So I've been adding some of the other up grade parts and waiting on a few more to get this on to the dirt. I have said many times in some of my other builds that I enjoy the build more than the driving. Dumb I know, I guess it is the old man in me. Last edited by CODYBOY; 04-08-2019 at 12:30 PM. *i would LOVE to see some CODYBOY red/white/blue livery in some sort of wrap on this. are clear bodies available? i would image so but admittedly i know nothing about this platform. VERY cool, though! I have the clear body resting on my shelf as we speak, I want to do a modified off fender body for playing on the rocks.!! Surly coming with me to Pro-line By the Fire! Can’t wait to see what you do with this. I have one on the way too. Never had a high speed rig but wanted something fun to play with right at the house on the dirt and grass. Hoping it holds up. Nice list of upgrades you’ve got there. I’m going to keep mine stock and hopefully just enjoy it for what it is. Ernie, great that you have a clear body too! Ben, awesome you'll like it! Should be great fun jumping, sliding and blasting around the little quarry crawling area you have nearby too! Only few basic mods needed to keep them together, depending on how much you drive like Kevin. 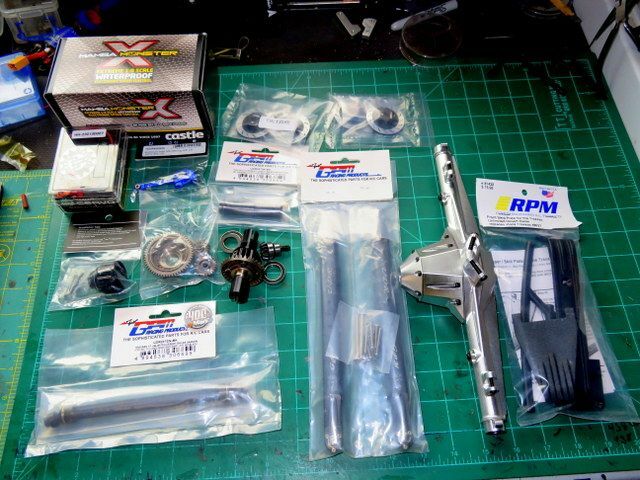 Metal front driveshaft, RPM trailing arms (or keep spare Traxxas arms), swap out Traxxas battery plugs for XT90 or XT150, E6000 to seal around rear axle where gear reduction unit/pinion attaches to housing and housing ends, and around transmission. I've been beating my X-Maxx and it's also doing great with few basic mods. 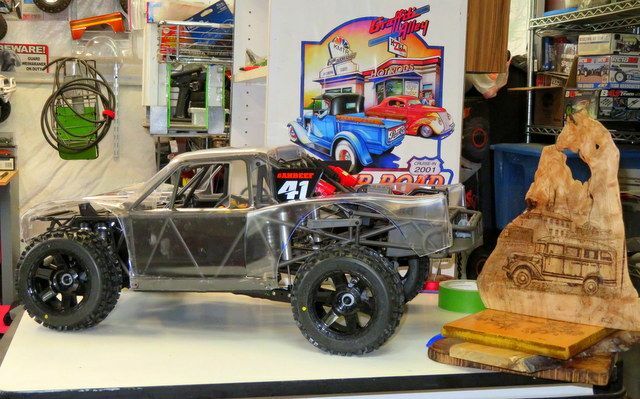 you're actually building a Traxxas ULTRA4 Desert Racer?!?! i gotta see this thing how it handles some rocks... drag brake and maybe sludged up front diff?? looking forward to seeing it at ASCENDER CAMP 2.0! 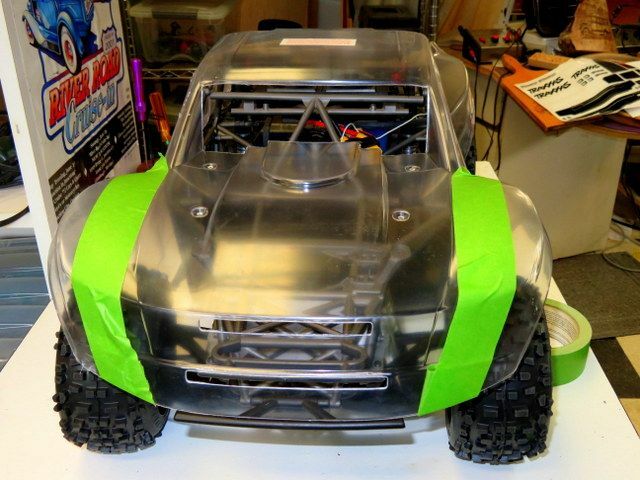 I could see a Mamba X or Mamba Monster ESC with its AUX feature working great with its Rock race/Crawler mode. 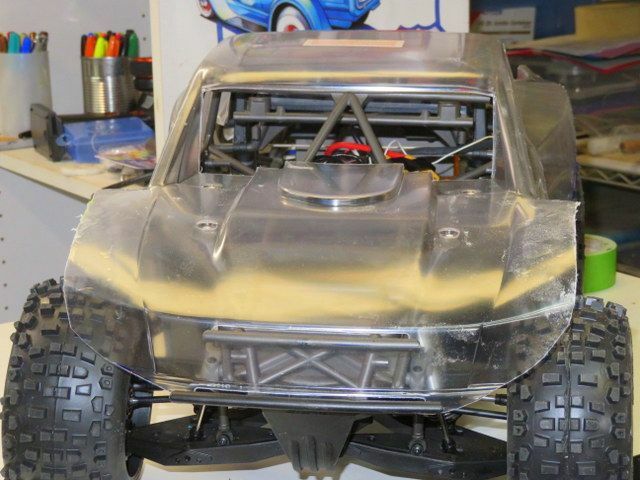 I might just have to bring a basher too this year, I have an Arrma Senton 6S that might be able to keep up with the UDR. man you all are going to make my yeti feel slow haha well okay it actually kinda is... i hope i can finish the overhaul for a full reveal there. haven't had time but i like working under pressure. Unlike some of my build it won't be anything to crazy Ben. I know the stock setup isn't designed for rocks but I guess that's where the craziness comes into play! It won't be clear for long, but I'm looking for someone to paint it for me! 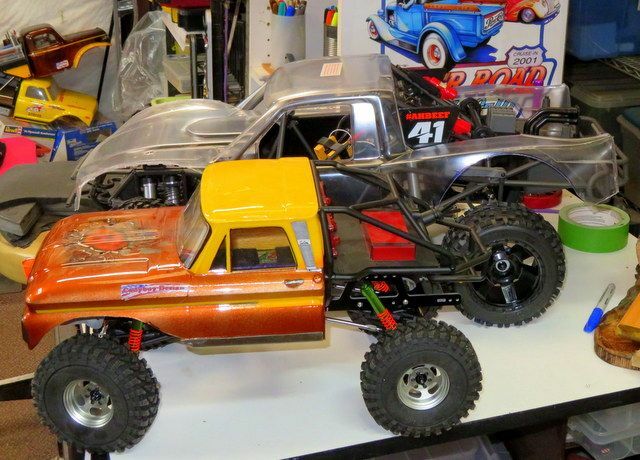 Hey Nate, wouldn't it be fun bashing at Pro-Line By the Fire. So far I think we have four large scale trucks coming just in our group. How about it Bud, I think you and Paul should do a road trip in May!!!! Nothing to crazy as far as changes Chris. Maybe tires, gearing, and ride height. 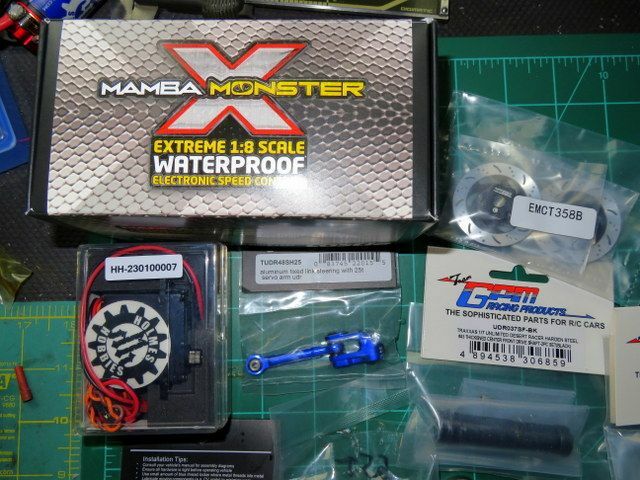 I have the ESC changes covered with the Mamba Monster X, Casey covered that for me. That would be cool Casey. Now we need to convince Nate to change his mind about not coming this year! Hey Paul, getting ready to post up a few more. The 3.8 proline Badlands are right at 6" in dia, (stock tires are 5.25) and I don't thing they are going to play nice with the stock body. Fully compress, I won't be able to turn. From the side. And a little shot of some of my burning projects. And a perspective view compared to another project I'm working on. Any suggestion on what I'm trying to do here? After I paint the body I'll reinforce it with sheetrock tape and E6000. Last edited by CODYBOY; 04-10-2019 at 06:21 PM. Get one of these guys going to proline by the fire with you to shoot some video of that. Last edited by HumboldtEF; 04-10-2019 at 08:36 PM.